Our God's Lemon Skunk has an exceedingly strong skunked up citrus flavor that water eyes and harsh throats with every toke. 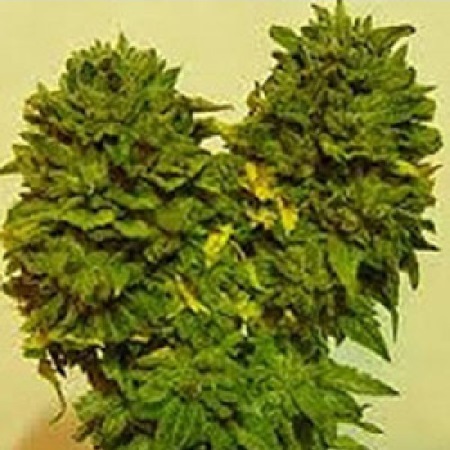 God’s Lemon Skunk Regular Cannabis Seeds by Jordan of the Islands Seeds: Our God's Lemon Skunk has an exceedingly strong skunked up citrus flavor that water eyes and harsh throats with every toke. To get the citrusy skunky yucky face tinge just right - Jordan of the Islands crossed our lemony ganja goodness that is our Lemon Skunk with our purple skunked up God Bud. Be prepared, this is a wickedly smelly marijuana strain and caution should be taken before undertaking God's Lemon Skunk. It's going to smell like you're keeping a family of skunks, but people with strong filtering will be amply rewarded. This marijuana strain has an impressively quick marijuana flowering time of 45 to 55 days. Growing approximately 4 to 5ft and producing an average yield of 4 to 6 ounces per plant.